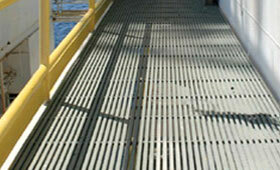 Unlike Moulded Gratings which has equal strength in both directions, Aeron Pultruded Grating is stronger in longitudinal direction as it is fabricated from bearing bars, interlocking rods and grove bar assemblies. 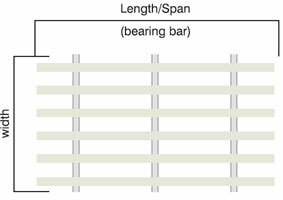 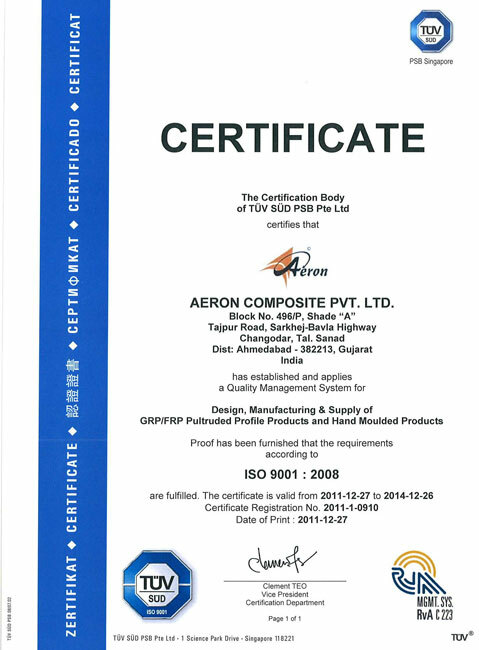 The bearing bars used for Aeron Pultruded Gratings are pultruded I bars and T sections and these bars are 25mm (1 inch) and 38mm (1.5 inch) deep. 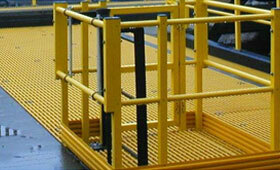 M clips or saddle clips clamp 2 fiberglass grating load bars to the support. 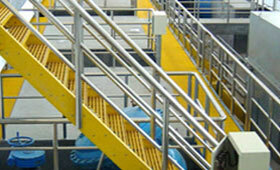 This provides excellent holding capability and because of this, are recommended for stair treads and most molded and pultruded fiberglass gratings. 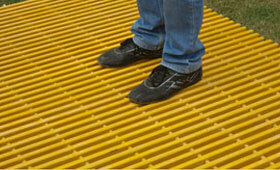 T clips offer the solution for below-surface attachment to pultruded fiberglass gratings. 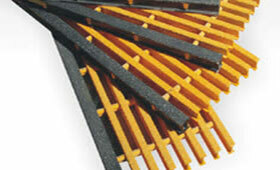 When used these FRP clips should be specified in pairs as shown.